A pretty 1950s pendant full of romance with silver hearts and crystal accents. Simply adorable! 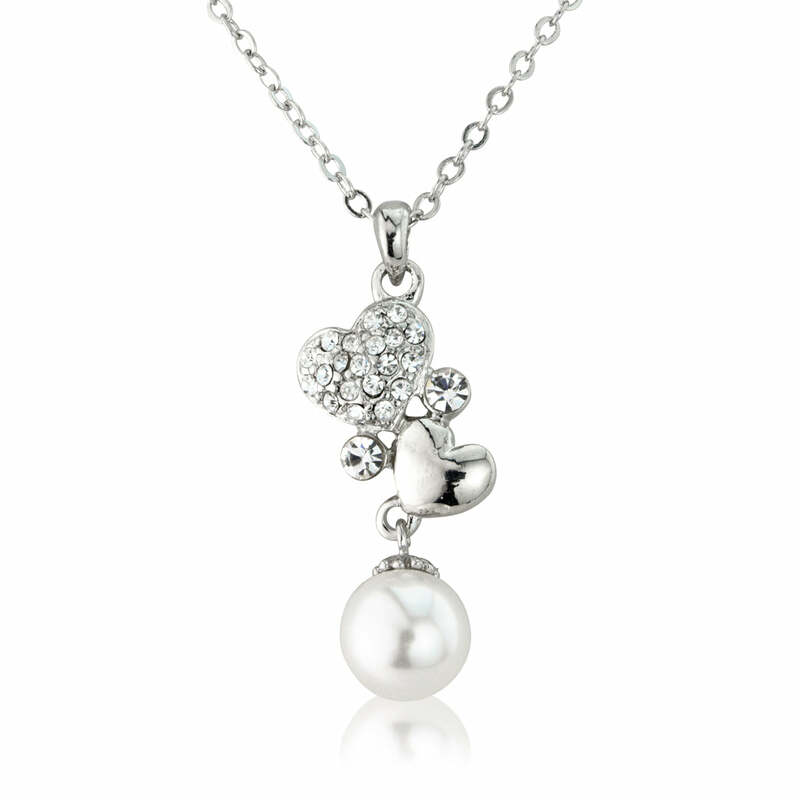 Our oh so pretty 1950s inspired Pearls and Love Hearts Pendant captures the chic style of this iconic era. Featuring two hearts, sparkling clear Austrian crystal accents and a light ivory faux pearl, this delicate pendant is suspended from a fine silver tone chain. A pretty bridal necklace for brides who adore chic 1950s style, this looks particularly fabulous with a tea-length gown or is the perfect bridesmaid pendant to compliment full-skirted prom dresses. Coordinate with a pair of understated pearl earrings and a delicate wedding bracelet for timeless style.